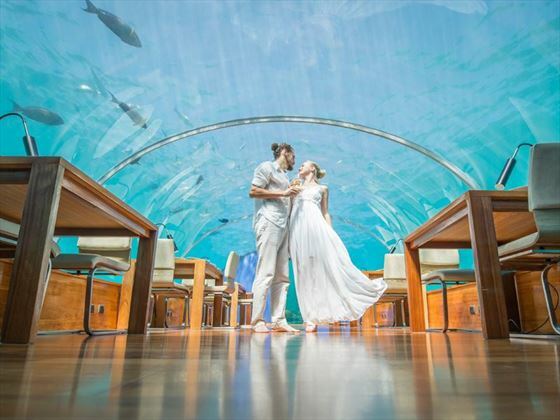 Say 'I do' again at Conrad Maldives Rangali Island, your dream wedding destination offering a romantic beach setting or an elaborate underwater ceremony in Ithaa Undersea Restaurant. 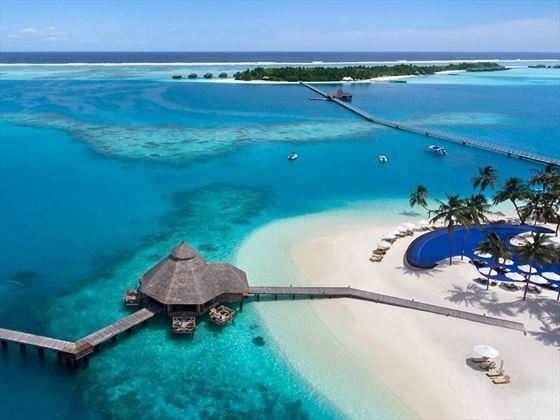 an even more special occasion. 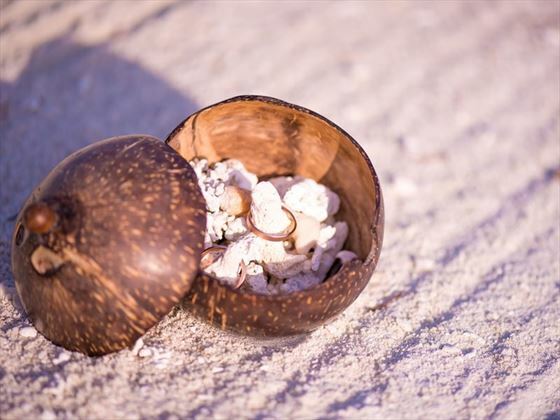 Choose from three very special & unique settings to hold your renewal of vows or blessing including the Deluxe Beach Tip with the Classic Wedding. 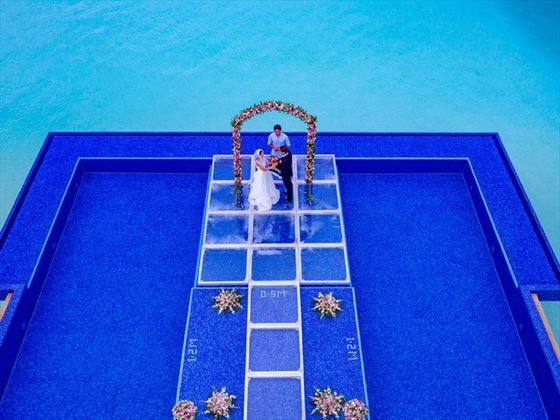 Say “I do” again with infinite ocean blues as the backdrop to your wedding on the transparent platform above the Quiet Zone Pool. 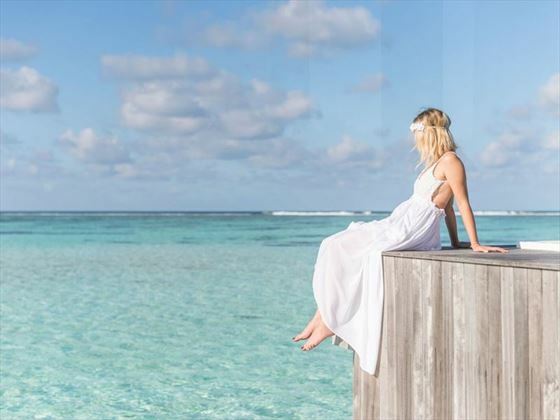 Suspended over the Indian Ocean in the resort’s lagoon, the Quiet Zone pool is surrounded by a myriad of colours throughout the day– tranquil shades of blue in the mornings and cotton candy pastels at sunset. 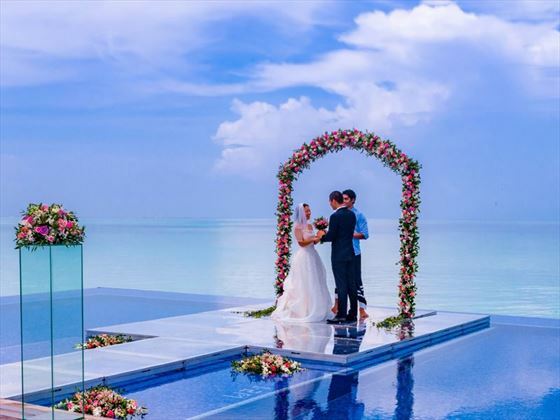 This stunning venue is included in the Premier Wedding. 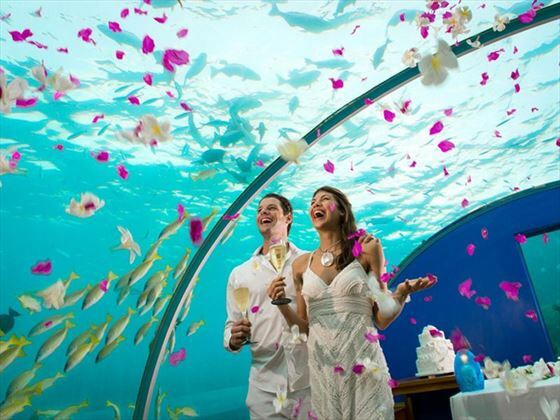 For a truly unique experience, then choose the Luxury Wedding package and the Ithaa Undersea Restaurant, the world’s only undersea chapel, provides an extraordinary backdrop, situated five metres underwater and surrounded by the vibrant coral reef, your ceremony will be witnessed by the colourful marine life.